In the summer when the sun is high and those intense rays are shining down, we know to protect our skin with sunscreen. But what about our hair, doesn’t that need protection too? 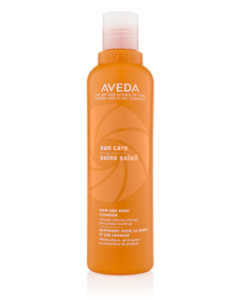 The amazing stylists at Rain Aveda Salon & Spa say that it absolutely does and they have just what you need to protect your lovely locks all summer long! The Aveda Summer Sun Care collection helps “summer-proof” your with its cleanse, restore and protect steps to keep your strands unharmed. A color-safe formula that gently and effectively removes chlorine, salt and product build-up, while helping to maintain moisture balance. 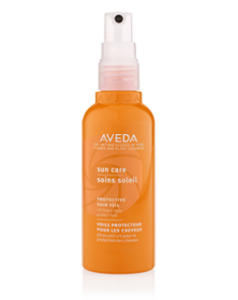 A lightweight, water-resistant UV defense mist that forms an invisible screen to help protect hair from sun exposure for up to 16 hours, to minimize color fadage, damage and dryness. An intensive cream masque that restores sun-exposed hair, moisturizes, and helps defend against free radicals. Stop into Rain Aveda Salon & Spa at Carmel City Center to get the best guidance on just one or all of these products. 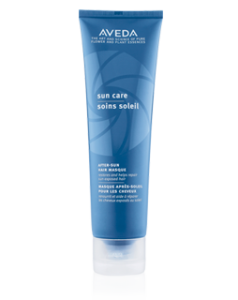 They’ll help you find the best protection for you to keep your hair safe from harmful summer rays. Also, the lovely folks at Rain Salon are offering 20% off your first hair service or a special $30 Blowout* with mention of this post! Copyright © 2013 - Carmel City Center - All rights reserved.